The Israeli Ofer military court on Monday sentenced a 15-year-old Palestinian girl to one year and a half in jail. 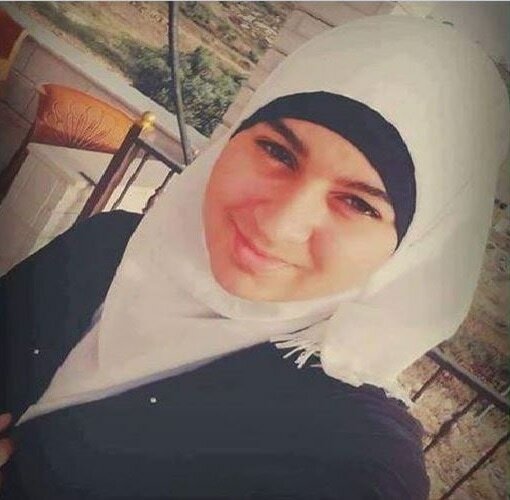 According to the Palestinian Prisoners Society, the Ofer military court slapped a one-year-and-a-half prison-term against 15-year-old Tasneem Halabi. A native of Ramallah and al-Bireh province, Halabi was arrested by the Israeli occupation forces in April 2016. She is currently locked up in the HaSharon jail. Steep fines of up to three million shekels were slapped by the Israeli occupation authorities (IOA) against jailed Palestinian minors in 2016. Researcher Reyad al-Ashkar said the fines issued by the Israeli military courts against imprisoned Palestinian minors had been estimated at nearly three million shekels ($800,000) in 2016. Al-Ashkar added that 2016 witnessed a hike in such Israeli cash penalties against Palestinian minors, particularly those charged with involvement in anti-occupation attacks or stabbing attempts. 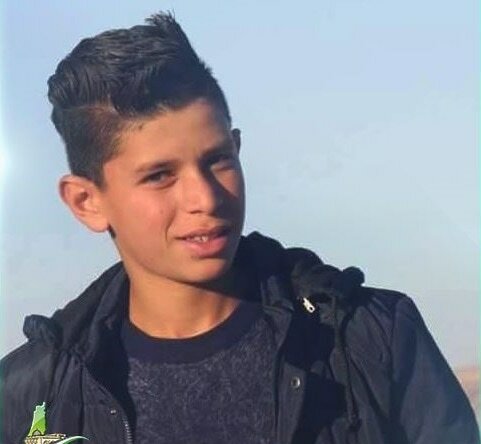 The activist cited the case of 16-year-old Murad Badr Idi’is, who was sentenced to life in an Israeli jail plus a fine of $460,000 on charges of carrying out an anti-occupation stabbing in the Israeli illegal settlement of Atna’el. A fine of up to $46,000 was also issued against 14-year-old sick child Ahmad Munasra, sentenced to 12 years in Israeli jail. Similar bails had been issued in 2016 against Mohamed Taha, 15, Mondher Abu Mayala, 17, Muawiya Alkam, 14, and the youngest Palestinian female detainee Dima al-Wawi, 12, among other Palestinian minors. According to al-Ashkar such penalties make part of a blackmailing policy perpetrated by the occupation authorities against the imprisoned Palestinian minors and their families in an attempt to quash anti-occupation activism. Ofer military court sentenced Monday the Palestinian prisoner Mohamed Abu Shahin to two life terms plus a fine of 3.5 million shekels, a rights group revealed. The Palestinian Prisoners Society (PPS) affirmed in a brief statement that the prisoner was sentenced to two life terms. A fine of 3.5 million shekels was also imposed on him, the PPS added. Abu Shahin, from occupied Jerusalem, was arrested six months ago for allegedly being involved in an anti-occupation attack. Israeli soldiers abducted during overnight invasions into different parts of the occupied West Bank, including East Jerusalem, twenty Palestinians from their homes, including two brothers and a sister of the Palestinian who was killed Sunday, the Palestinian Prisoners’ Society (PPS) has reported. The PPS office in occupied Jerusalem said the soldiers invaded and searched many homes in the city, and abducted eight Palestinians, including the two brothers and sister of Fadi al-Qanbar, who was killed Sunday. It identified the abducted Palestinians identified as Nayef Obeid, Mohammad Mer’ey, Emad Sarandah, Nidal Froukh and Daoud Dirbas, in addition to Monther Qanbar, his brother Mohammad and their sister Shadia. In Jenin, in the northern part of the occupied West Bank, the soldiers invaded and searched many homes and abducted Sa’id Mohammad Abdullah, in addition to two teachers, identified as ‘Allam Ziad Jaradat, 43, and Mohammad Ahmad Abu Tame’, 46. In Bethlehem, the soldiers invaded homes in ‘Aida refugee camp, north of Bethlehem, and searched them before abducting three Palestinians. The PPS identified the two abducted Palestinians as Ehab Mohammad Taqatqa, 18, and Yazan Mohammad Deeriyya, 16, in Beit Fajjar, south of Bethlehem. In ‘Aida refugee camp, north of Bethlehem, the soldiers invaded and searched homes and abducted a young man, identified as Daniel Rashid Abu Srour, 20. In Jerusalem, the soldiers abducted two young Palestinian men, identified as Mohammad Mer’ey and Ali Abu Ryala, from the al-‘Eesawiyya town, in the center of the city, and took them to an interrogation center. In the southern West Bank district of Hebron, the soldiers invaded the al-‘Arroub refugee camp, searched homes and abducted two young men, identified as Mohannad Abu Sil and Ahmad Abdul-Rahman Abu Sil. In Jericho, the soldiers invaded Al-Jiftlik village, north of the city, searched a number of homes and abducted two Palestinians identified as Mousa Sa’id Mawahra, 39, and Salaheddin Omar Ed’eibis, 17. 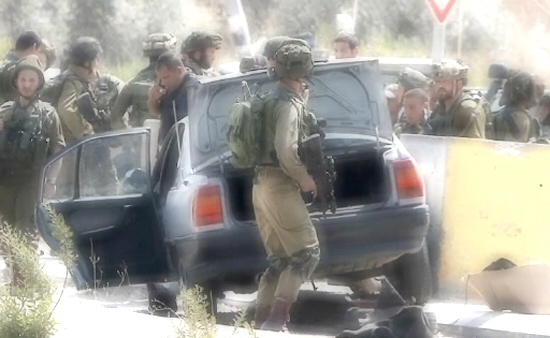 In addition, the soldiers invaded Budrus town, northwest of Ramallah, also searched homes and abducted two Palestinians, identified as Mos’ab Sami Awad, 23, and his cousin Ahmad Yousef Awad, 20. The Israeli Occupation Forces (IOF) launched last night and at dawn Monday violent raid and arrest campaign across the West Bank, while Israeli settlers brutally attacked Palestinian vehicles near Qalqilia. 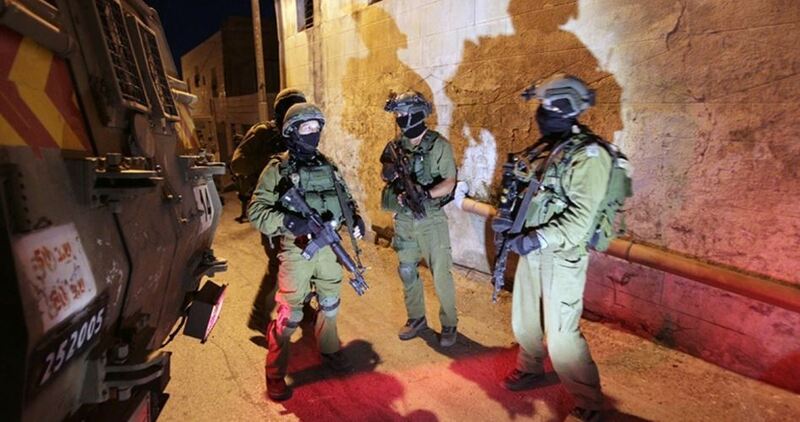 11 Palestinians were detained during the IOF raids throughout West Bank towns and cities. IOF claimed in a statement issued early today that 11 “wanted” Palestinians were detained for being allegedly involved in anti-occupation attacks. 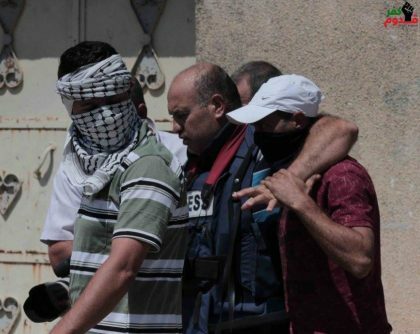 Three arrests were carried out in Jenin, while two others were reported south of Ramallah. At least one young man was rounded up in Qalandia refugee camp, south of occupied Jerusalem. Two ex-prisoners were detained in Aroub refugee camp, south of al-Khalil, while three youngsters were arrested in Aida refugee camp, south of Bethlehem. 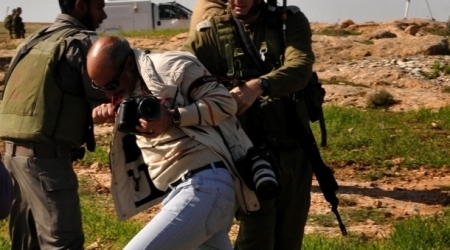 Activists in Hamas Movement were among the reported arrests, the IOF statement alleged. Weapons were found during the overnight raids in Beit Fujar town to the south of Bethlehem, IOF statement further claimed. All the detainees were taken to unknown detention centers. Meanwhile, Israeli settlers attacked late last night Palestinian vehicles at Qalqilia-Nablus road. Similar settlers’ attacks were reported near Hawara town near Nablus following the anti-occupation attack in occupied Jerusalem which left four Israeli soldiers dead and 15 others injured. The Israeli police arrested nine Palestinians in Occupied Jerusalem in the wake of the vehicle-ramming operation that happened in the city on Sunday afternoon. According to the Hebrew website 0404, five of the detainees are relatives of Fadi al-Qanbar, the young man who carried out the ramming attack. All the nine detainees were taken for interrogation to an Israeli police station in the holy city. Local sources also reported that an Israeli police force broke into and ransacked the house of al-Qanbar family in Jabel Mukaber neighborhood, southeast of Jerusalem, and arrested the wife of the martyr, his parents, and his brothers, Mohamed and Munder. Martyr Fadi al-Qanbar has four kids, the youngest aged nine months. He carried out his ramming operation, which was hailed as heroic by the Palestinian resistance factions, on a road near Armon Hanatziv settlement in Jerusalem. Four Israeli soldiers were killed and at least 15 others suffered different injuries in this operation. New group of prisoners' families from Gaza headed, on Monday morning, to visit their sons imprisoned in Nafha prison. The International Red Cross Committee said that 64 members of Gazan families, including 15 children, managed to leave Gaza Strip via Beit Hanoun crossing to visit their 41 relatives held in Nafha prison. Last Monday, spokeswoman for the Red Cross Society Suhair Zaqut denied that the Israeli authorities had banned family visits scheduled for Gaza prisoners. Zaqut told the PIC reporter that no modification has been made yet for Gaza prisoners’ family visits. Each prisoner from Gaza Strip has the right to meet his family once every two months, she continued. For his part, spokesperson for Waed society for prisoners’ affairs affirmed that no Israeli intention has been declared till now to prevent family visits. On January 1, the Israeli cabinet declared a series of punitive measures against Hamas’s prisoners and martyrs in a failed attempt to push for the release of Israeli soldiers captured by Qassam Brigades, the armed wing of Hamas, during 2014 aggression on Gaza. Shadia noted that Israeli forces initially detained Munther al-Qunbar’s wife because her husband was not at home. Al-Qunbar’s sister expressed surprise at the actions of her brother, a father of four, emphasizing that he had never been affiliated with a political party, and claiming that he had never been detained by Israel -- although some media reports indicated that he had previously spent time in Israeli custody. The Israeli security cabinet also decided to apply its controversial policy of administrative detention -- internment without trial or charges -- to suspected Islamic State sympathizers. 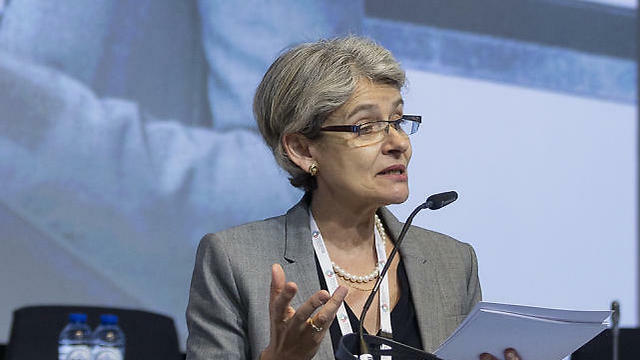 While Israeli officials have often reiterated that Palestinian attacks on Israelis are due mainly to anti-Semitic sentiment, many Palestinians have instead pointed chiefly to the frustration and despair brought on by Israel's decades-long military occupation of the Palestinian territory and the absence of a political horizon. Daghlas told Ma'an that tens of Israeli settlers participated in an attack against 20 Palestinian civilians’ vehicles near the Qalqiliya-area village of Azzun, adding that while no injuries were reported, Palestinians were urged to exert caution while driving near settlements. The Israeli occupation forces (IOF) arrested on Sunday a Palestinian child after raiding the town of Beit Furik, east of Nablus. Eyewitnesses told the PIC reporter that clashes erupted in more than one location in the village in the wake of the IOF raid, adding that the soldiers fired gas canisters at the village youths before arresting Ayham Khatatba, 15. Witnesses mentioned that clashes began from Nassarah neighborhood then Jabal al-Qa'dah reaching to the industrial area before the IOF withdrew from the town. 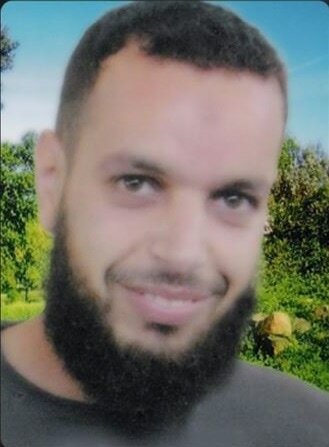 The Palestinian Prisoners Society (PPS) on Sunday raised alarm bells over the exacerbated health status of cancer-stricken prisoner Iyas al-Refai, 32. According to the PPS, prisoner al-Refai has gone through frequent faints along with a hemorrhage, vomiting, and a low body temperature. 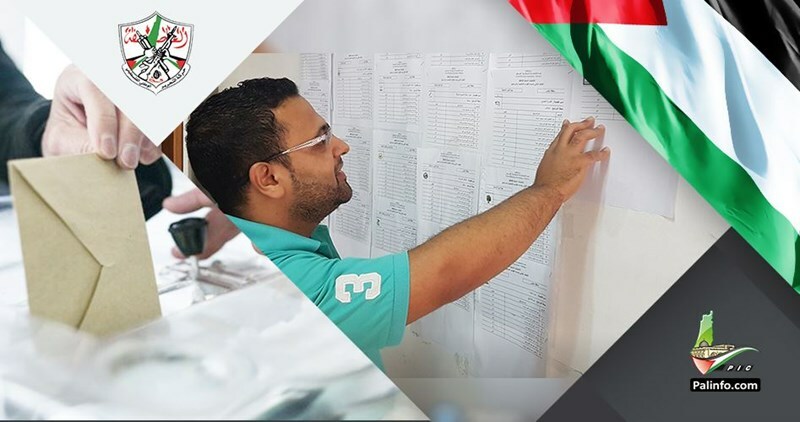 PPS lawyer quoted prisoner al-Refai whom he visited in the Nafha jail as stating that he was rushed to the prison clinic, where Israeli medics provided him with pain soothers before he was returned to his prison cell. Recently, the Israeli prison service (IPS) transferred the sick detainee to the Eshel lock-up, in an exhausting trip that lasted for three days via the Bosta vehicle. Eshel medics diagnosed him with an immunity-threatening virus that may lead to tuberculosis. A native of Ramallah province, prisoner al-Refai has long been suffering severe intestinal infections. In 2015, he underwent a surgery to remove a tumor that infected his body as a result of medical neglect in Israeli jails. Al-Refai was arrested by the Israeli occupation forces in August 2006 and sent to an Israeli prison, where he has been serving an eleven-year sentence. At least four Palestinian civilians, including two youngsters, were kidnapped by the Israeli occupation forces (IOF) at dawn Sunday in an abduction sweep rocking the southern West Bank. The Israeli occupation army claimed, in a statement, responsibility for the abduction of four Palestinians from the West Bank on claims of involvement in anti-occupation activities. 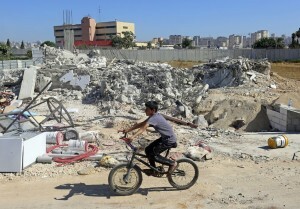 The campaign targeted Palestinians from the southern occupied West Bank provinces of al-Khalil and Bethlehem. According to local sources, the IOF stormed Beit Ummar and Surif towns, in al-Khalil, and kidnapped two Palestinian youths, identified as Khaldoun Ikhleil and Ameen Abu Aka. The campaign culminated in the abduction of two Palestinian boys—Dhiaa Diriya and Daoud Thawabta—from Bethlehem’s town of Beit Fajjar. Israeli soldiers on Saturday evening kidnapped a Palestinian young man from his home in Abu Asnainah neighborhood in al-Khalil city, south of the West Bank. 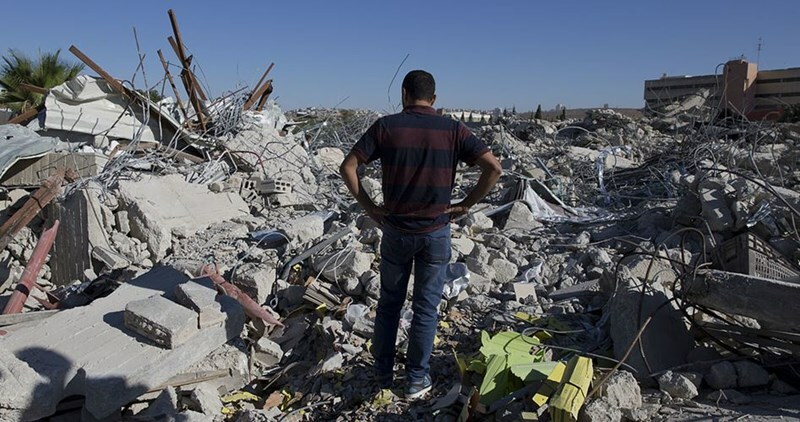 Local sources told the Palestinian Information Center (PIC) that an Israeli military force raided several homes in Abu Asnainah neighborhood, adding that a young man called Mohamed Rushdi was taken prisoner during one of those raids. Meanwhile, a large number of Israeli troops stormed Bani Naim town east of al-Khalil and ransacked homes and facilities. The soldiers’ practices provoked skirmishes with some residents in the town, according to local sources. In a separate incident, a group of young men fended off Jewish settlers on a road north of al-Khalil city by hurling their cars with stones. Some Israeli vehicles reportedly sustained material damage in the stone-throwing attack.